Escape boredom. Escape the desk. 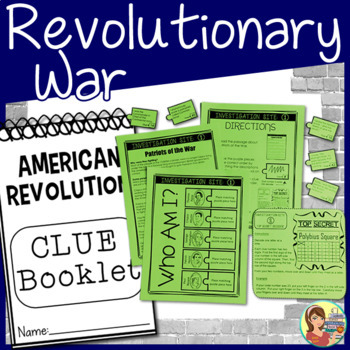 Escape with a Revolutionary War Escape Room activity! This resource is a zipped file containing four (4) PDFs and a PowerPoint file. 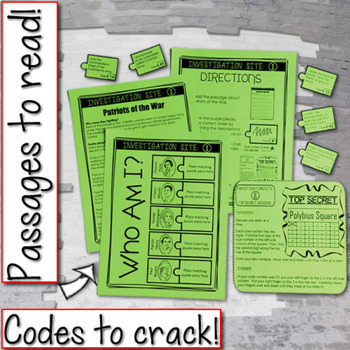 All you need to implement this fun learning activity in your classroom is paper! (Lamination optional.) No lock boxes are needed. Students will watch an introductory PowerPoint presentation (including a brief video with a talking character). The video will set up the scenario. The students need to travel back in time to help find the location of the hidden Liberty Bell. A message stating the location has been torn and is missing four words. Luckily, clues for the location were hidden along the way. Students will visit four investigation sites to collect the clues. Students will be divided into small groups of 3-4 members. 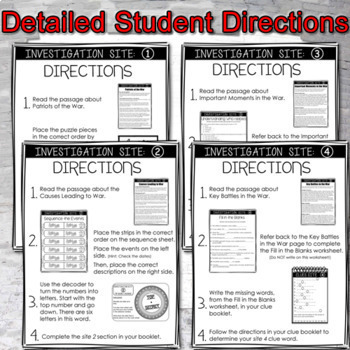 Directions are provided at each investigation site. It does not matter which order the sites are visited. Each site requires students to read one page of informational text. As directed, they will decode a message at each site. The decoding process involves proving reading comprehension. Students will work as a team, with each student recording answers in their own booklet. One codeword will be collected at each site. When students have collected all four codewords, that complete the message stating the bell’s location, one member of the group will fill out a group worksheet to be turned in to the teacher. After your students have completed their escape activity, you have the option to teach them a little bit more about the bell they helped to locate. An informational poster is included. Students are provided with a Liberty Bell doodle style note sheet where they can record important facts. Please look at the PREVIEW to see more details. Check out this Greek Mythology Escape Room! Make your studies complete with this American Revolution BUNDLE. Find more unique SOCIAL STUDIES resources here.